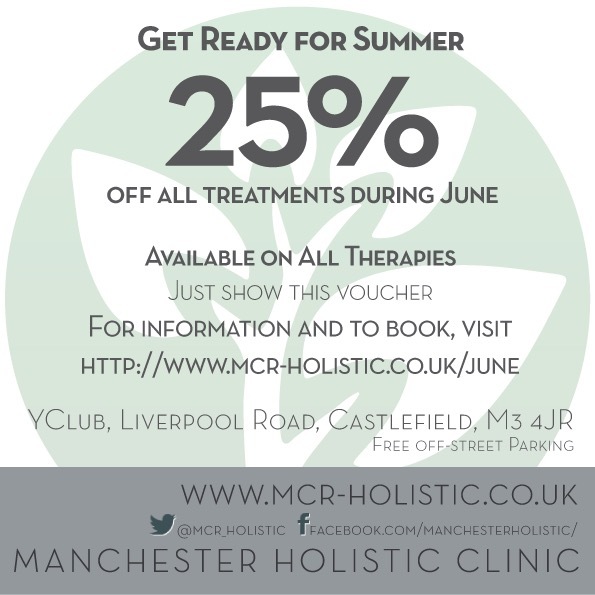 Book an Indian head massage or treatment on Wednesdays at the Y club Castlefield and get £5 off. Call, text or WhatsApp 07855 741804 to arrange your visit. Buy a relaxing reflexology or Indian head massage voucher for your partner and receive one for yourself for free. Valid until 14th Feb.